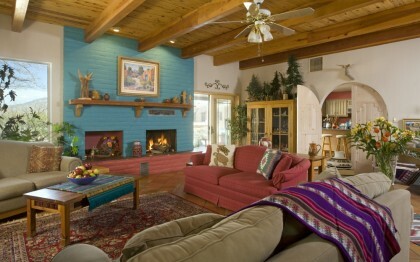 Corrales, New Mexico January 20, 2011 - The Chocolate Turtle Bed and Breakfast was chosen as one of the Top 10 B&Bs and Inns in the United States by TripAdvisor® in its 2011 Travelers’ Choice® awards. Now in its ninth year, the annual TripAdvisor Travelers’ Choice awards honor the world’s best hotels and B&Bs, earning their distinction from those who know them best – real travelers. Unlike any other lodging awards programs in the world, TripAdvisor® Travelers&apos; Choice® winners are based on the millions of real and unbiased reviews and opinions about hotels and B&Bs on tripadvisor.com™ and content from across the web. For reviews on the Chocolate Turtle Bed and Breakfast, visit the Trip Advisor website. For the complete 2011 Travelers’ Choice list, go to www.tripadvisor.com/travelerschoice. The Chocolate Turtle is in Corrales, a historic farming Village, centrally located in the state, nestled between Albuquerque and Rio Rancho and just a short drive from Santa Fe. Warm hospitality and southwestern charm describes this four guest room B&B with private baths, full breakfasts, and high speed wireless internet. The Chocolate Turtle is a perfect get away, while close to working studios, historic sites, galleries, local restaurants, shopping, and wineries. Walking along the historic Spanish acequias, bird watching in the Bosque (habitat for 183 species of birds), biking and hiking are enjoyable in the mild climate. Roadrunners, quail, and cottontails entertain guests while they unwind on the portal and watch the ever changing Sandia Mountains. For more details go to www.chocolateturtlebb.com. TripAdvisor® is the world’s largest travel site, enabling travelers to plan and have the perfect trip. TripAdvisor offers trusted advice from real travelers and a wide variety of travel choices and planning features (including Flights search, TripAdvisor Mobile and TripAdvisor Trip Friends) with seamless links to booking tools. Photo courtesy of Chocolate Turtle B&B.